Over three-quarters (77%) of Irish consumers have bought organic food products before, according to the latest Consumer Insights survey by Empathy Research. Of 953 participants, more women (81%) than men (73%) are likely to have bought organic products before. While the National Asset Management Agency’s plans to put the loans tied to Dundrum Shopping Centre in Dublin on the market have taken centre stage, that is likely to be just one of a number of deals involved in the sector this year. 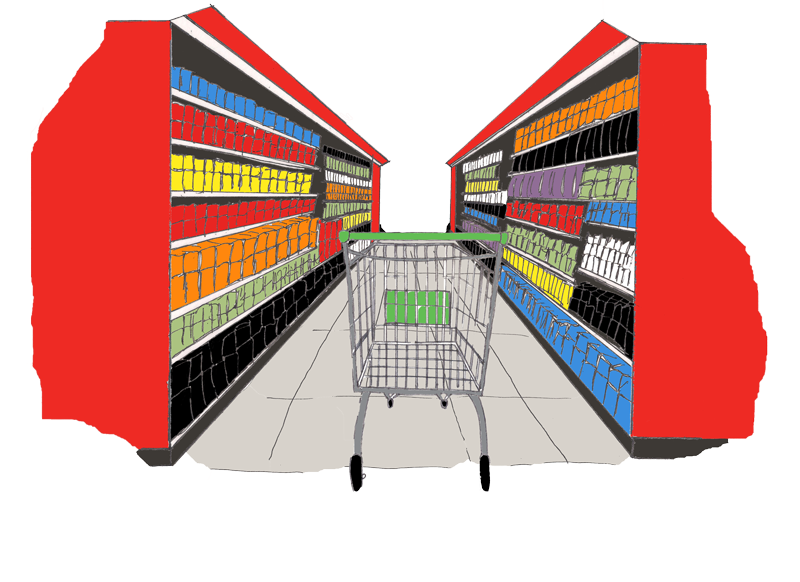 Grocery sales rose by 0.53% in Q4 of last year, according to the latest Irish Retail Industry Sales Review from Retail Excellence Ireland. The review, which is collected from inputs from GfK Retail and Technology Ireland, found that the grocery market rose by 1.12% in October, declined by 1.87% in November, and rose again, by 1.37%, in December. Retail sales grew by over 4% in the final three months of 2014, on a year-on-year basis, marking the largest such growth for more than seven years. Figures published yesterday by industry representative group Retail Excellence Ireland (REI) showed that most sectors saw solid sales growth in the fourth quarter, with jewellery the star performer with a near 15% annualised increase. SMEs in the wholesale and retail sectors are less confident about the future than other sectors, a new study has found. According to the first Magnet Regional Business Barometer (MRBB), 59% of retail/wholesale firms feel the year ahead will be positive, with 13% believing it will be negative. Irish consumers spent a record €28.4 billion on their Visa cards in 2014, an increase of 32 per cent on 2013, as online shopping rose to almost €5.6 billion. According to Visa, the record expenditure reflects the continued shift by Irish consumers from cash and cheques to electronic payments; the introduction of new payments technologies such as Visa Personal Payments; and the momentum behind contactless payments with over 10 million transactions made to date. Sales were up 4.22pc year-on-year in the last three months of the year, the strongest growth since the second quarter in 2007, Retail Excellence Ireland said. Jewellery was the star performer, with like-for-like quarterly gains of 14.91pc. But the pharmacy area remained under pressure. The fashion sector performed strongly, with menswear being the most productive sector, recording like-for-like gains of 8.81pc. Retail group BWG - which controls the Spar franchise in Ireland - has agreed to pay €23m to buy the trading business of ADM Londis. The acquisition will bring the Londis brand under BWG's wing, adding to a stable it already controls here, including the Spar and Eurospar symbols, as well as XL and Mace. The inaugural Pride of Centra Awards took place recently in Croke Park where a selection of Centra employees were honoured for their commitment and dedication shown in the workplace. The awards were established to acknowledge the Centra employees who consistently live and demonstrate the Centra brand values each and every day. Tesco and the Ladies Gaelic Football Association joined forces today to launch the 2015 season of the National Football Leagues at iconic venues throughout the country. February 1st will mark the first round of the Tesco National Football Leagues and they will continue at local stadia in every part of the country right throughout the Spring and into May when the finals will be held at Dublin’s Parnell Park.